Live a frenetic lifestyle? Are you a workaholic who rarely takes time off? Do you need to go somewhere that is pleasing to the eye, soothing to the soul, and is likely to make you smile? If all this sounds good, maybe a trip to Oregon should be on your list. It's about the most laid-back spot in the country. Oregon likes to think of itself as "far from ordinary." 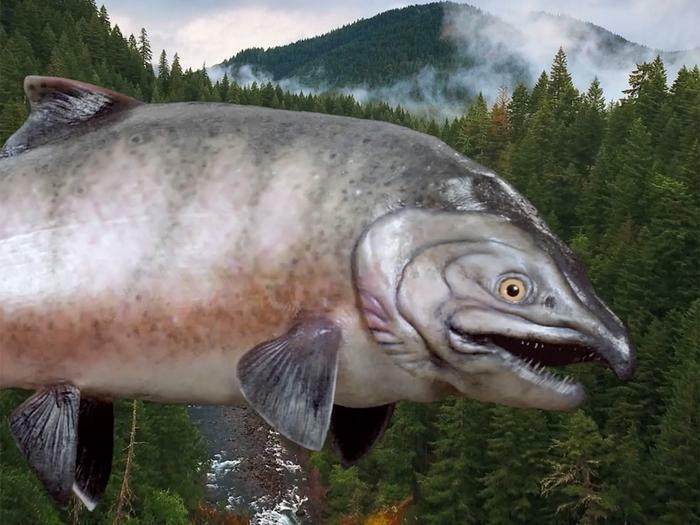 You quickly get the point when you visit the Travel Oregon website and find that the gorgeous pictures are narrated by a wisecracking robot fish. The state itself has something for just about everyone. From its scenic Pacific Coast beaches, to the majestic Columbia River Valley, to towering Mount Hood, Oregon produces one "oh, wow!" after another. And while its neighbor to the south is famous for its wine, Oregon is no slouch in that department. This is a good time for wine lovers to visit the state because Oregon has declared May to be Oregon Wine Month. More than 100 restaurants are offering special wine flights this month, featuring Oregon wines, including a 2015 Goodfellow Family Cellars Chardonnay, a 2013 Bergstrom Wines Old Stones Chardonnay from the Willamette Valley AVA, and a 2014 Smockshop Band Winery blend -- 98% Chardonnay, 2% Pinot Gris -- from the Columbia Valley AVA. You can get more information about Oregon Wine Month and book a table here. May is also a great time for anglers to visit Oregon in search of spring chinook salmon. These fish take advantage of the spring snowmelt that fills the rivers and make their way from the Pacific, upriver. These fish are often about four years old and can weigh in at as much as 40 pounds. Of course, you need to know where to cast your line. Travel Oregon shares some of the state's best fishing spots here. You won't be in the state very long before you discover it has something of a quirky streak. And Oregon is at its quirkiest in Portland, a port city on the Willamette River and the state's largest city. It's Portland, as in Portlandia, the IFC TV series starring Fred Armisen and Carrie Brownstein. The sketch comedy show is a satire on some of the Pacific Northwest's well-known enthusiasms, such as feminist bookstores and extreme foodie culture. Portland, of course, is in on the joke and the series is actually filmed there. And yes, Portland does have a lot of feminist bookstores. Pasadena, California has the New Years Day Rose Parade, but Portland prides itself as the real "city of roses." Memorial Day weekend, Portland kicks off the annual Portland Rose Festival which runs well into June. It starts with a fireworks show and celebrations in the city's Waterfront Park. A highlight of the festival is the Portland Rose Society Annual Spring Rose Show, the nation’s largest and longest-running in the nation. This year, it's expected to bring more than 4,000 blooms to the Lloyd Center Ice Rink. This weekend, of course, is the annual UFO Festival in McMinnville, a cool little town about an hour southwest of Portland. The festival celebrates the region's place in UFO lore. In 1947, a month before the famous Roswell, N.M., crash, pilot Kenneth Arnold reported sighting a fleet of silvery objects traveling at supersonic speed near Mount Rainier, southeast of Seattle. The four-day festival features parades, costume contests, and family-oriented entertainment. If you are close enough to drive to Oregon, it's the best way to enjoy the state's scenic splendor. Interstate 84 runs northwest from Idaho to Portland, while Interstate 5 runs south from Washington and north from California through the city. Portland International Airport serves the state from its location northwest of the city, adjacent to the Columbia River. Just about every airline based in the U.S. and Canada has service to Portland. Shuttle buses and a modern light rail system connect the airport with downtown. Amtrak also runs through Portland, and some travelers say it is sometimes cheaper to fly into Seattle and take the train to Portland. Oregon Governor Kate Brown notes domestic air arrivals increased more than 10% last year over 2015, as tourism has become a more important economic driver for the state. She's rolled out the welcome mat, saying that connecting with Oregon's "great outdoors" is good for health and wellbeing.